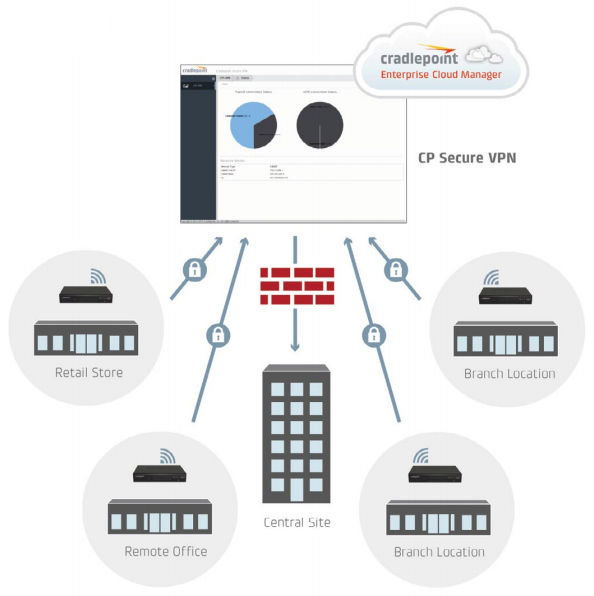 Back office VPN concentrators are costly and time consuming to deploy. Fixed VPN ‘head end’ hardware solutions are capital intensive and have long lead times for distributed enterprises. IT managers need to secure their expanding edge networks using architectures that scale quickly and are easy to maintain. 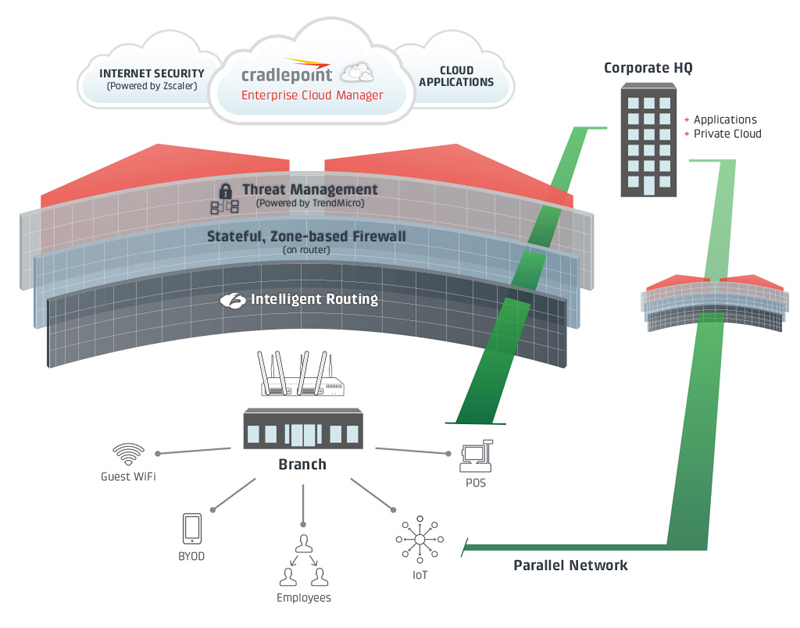 When purchased with Zscaler Internet Security, CP Secure Threat Management delivers a complete hybrid (On-Premise/Cloud-Managed) UTM Solution. MobileWANStore.com is a division of Virtual Graffiti Inc, an authorized Cradlepoint reseller.